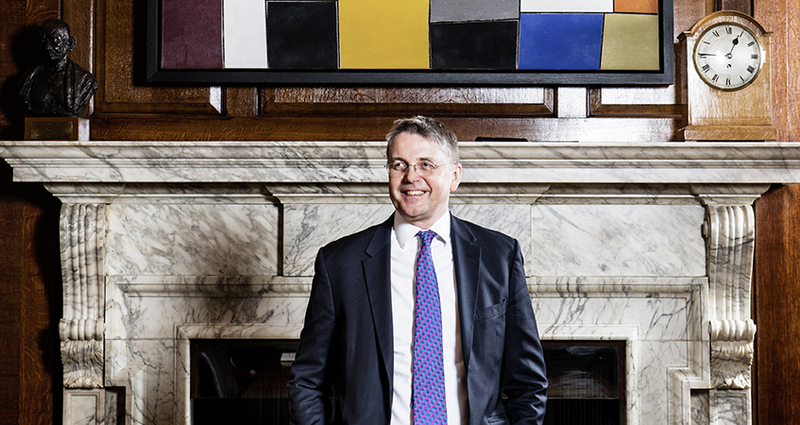 Home > News and media > News > Jeremy Heywood: "The pre-eminent public servant of his age"
Jeremy Heywood: "The pre-eminent public servant of his age"
When a young graduate armed with a Masters in Economics, Heywood joined the civil service as a Fast streamer. From his first post at the Health and Safety Executive, he moved to the Treasury – Private Secretary to the Chancellor of the Exchequer aged just 29. Four consecutive Prime Ministers were eager to make him part of their respective teams. In 1997, the newly elected Tony Blair appointed Heywood as his economic and domestic policy secretary. By the middle of 1999, he was once again a Principal Private Secretary, though this time to the Prime Minister himself – a role he would assume once more during Gordon Brown’s premiership, until he was appointed Downing Street Chief of Staff. David Cameron, remembering Heywood from his own Treasury days as a special advisor to Norman Lamont, was keen to hold on to the civil servant. Under this PM, Heywood was made Downing Street’s Chief of Staff and its Permanent Secretary. He was ultimately promoted to Cabinet Secretary in 2012, accepting the additional role of Head of Civil Service in 2014. In these dual capacities, he worked with his final Prime Minister, Theresa May. Heywood has been described as “like a drug”, in that “people get addicted to him quite quickly”. It is easy to see how Heads of States turned to this ever-reliable stalwart to help them through 9/11, the financial crash, the coalition and Brexit. In 2012, at his first appearance before a select committee, Heywood said: “I try my best to stay invisible”. In one way, he succeeded in keeping his public profile low. However, his death was met with a chorus of cross-party tributes. Cameron described the news as “desperately sad”; Brown named him “the most dynamic civil servant of his generation”; Jeremy Corbyn called Heywood “an impressive and dedicated public servant”. “I last spoke to him just before his cancer returned,” Penman recalled. “He asked to see me, to thank us for the work we were doing defending the impartiality of the civil service and those civil servants under constant attack over Brexit.